Guanabana (also known as graviola or soursop) is a very sweet fruit used as flavoring in candy, juice and ice cream. It is native to parts of the Caribbean, South America and North America and has characteristics similar to many other fruits — it smells like pineapple, tastes like a combination of strawberries and apple and has a texture similar to a banana. Soursop is rich in vitamins C and E and also contains potassium, calcium, magnesium, sodium, copper and iron. All of these nutrients are important to maintaining overall health and a well-rounded diet, making it an excellent food to include in your daily regimen. Research continues, but guanabana may aid in the treatment and prevention of cancer. Guanabana trees contain acetogenins, which may kill cancer cells without harming healthy cells. Studies show that guanabana extract kills or prevents the growth of cancerous cells in patients who have breast cancer, colon cancer, prostate cancer and many other types of cancer (x, x, x). Guanabana is rich in antioxidants, compounds that protect the body from free radicals, which lead to signs of aging and disease. The antioxidants in guanabana actively fight cellular oxidative stress, which can eventually lead to cancer or other types of cell damage (x). Guanabana fruit reduces inflammation, so it is very effective as a supplement for a variety of different conditions. Inflammation is a common symptom of joint pain, illness and a wide range of other health problems — not to mention it can be very uncomfortable. Studies on mice have shown that guanabana extract and tea can reduce inflammation and also prevent inflammation as a symptom of other health conditions (x). Guanabana extract may work to treat diabetes. Studies on rats with diabetes have shown that guanabana will increase their insulin levels while decreasing blood glucose, keeping their sugar levels balanced (x). This happens because the antioxidant properties of the guanabana protect the pancreatic cells. (x, x). While the extract cannot kill the herpes virus completely, it may be effective for reducing the occurrence of outbreaks. Further research is required to determine if this is a reliably viable treatment method. Applying guanabana extract topically may help wounds heal faster. Its anti-inflammatory properties have been effective in accelerating the healing process in rats (x). Applying guanabana extract to a wound before treating it with traditional first aid techniques could help it heal more quickly. Guanabana extract can also potentially reduce blood pressure levels. This is because it blocks internal factors that increase blood pressure levels — such as specific enzymes (x). Lower blood pressure means you have a reduced risk of experiencing a heart attack or other serious heart problems. Another benefit of taking guanabana extract for men is that it can improve fertility levels. When given to rats consistently over a period of two months, guanabana extract improved their sperm levels significantly, and also increased the movement and virility of their sperm (x). If you suffer from frequent allergies, you may find that guanabana extract can actually improve them. Its anti-inflammatory aspects can treat your symptoms and reduce the irritation caused by allergies. Studies on rabbits have shown that guanabana extract can significantly improve the symptoms of skin allergies in particular (x). The antioxidants in guanabana extract protect your stomach lining so you won’t develop stomach ulcers. Studies on rats have found that guanabana leaf extract reduced the occurrence of ulcers (x). In addition to its success at treating viral infections, soursop can also effectively treat bacterial infections (x). Multiple studies have indicated that extract from various parts of the plant act as antibacterial agents. Extracts from the leaves, seeds, roots and bark can all work for this purpose. Additionally, soursop has some antimicrobial properties, although they are not quite as strong as prescription antibiotics. Stressed? Guanabana could be the chill pill you’ve been looking for. In rats, guanabana extract reduced visible neurological stress levels and depressive symptoms (x). It also acts as a mild sedative (x). This is because the phytochemicals in the fruit can actually affect the serotonin receptors in the brain. There are many different ways you can enjoy the guanabana fruit. Many people like to make it into a smoothie or incorporate it into desserts because of its sweetness. It has also traditionally been roasted in some Latin American countries. However, the extract is the most potent form of the fruit and the best way to get the health benefits. Liquid extract or guanabana supplement pills will be the most effective way to consume it regularly. Many people also make guanabana tea as a drink, but this has a high potential for neurotoxicity and should be consumed very carefully. Although it is one of the most effective cancer fighting herbs, it also has high potential for neurotoxicity when consumed in large quantities, which can lead to very dangerous health issues. Some studies have shown that high levels of guanabana consumption can also lead to forms of Parkinson’s and other diseases that affect the nervous system (x). You should not use guanabana extract when pregnant or breastfeeding to prevent these neurological effects and cell damage. When consumed in excess, guanabana fruit can also lead to certain types of cell death. For example, these supplements can cause increased instances of brain cell death (x). Consumption of this fruit extract can even make the venom of a pit viper snake much more dangerous (x). This is typically only a factor when the extract is consumed in tropical environments, but it is still important to note. Additionally, you should always keep in mind that guanabana extract has not been studied extensively on humans yet. Although the results in animal studies have been very promising, there still could be side effects in humans that have not yet been studied. Because of the lack of human studies of the guanabana extract, there aren’t any recorded drug interactions, although this is still something to keep in mind when taking the supplement. There also isn’t a recommended dose from the FDA. However, a dose of 2 grams per kilogram of weight in rats was not toxic during animal studies (x). Always err on the side of caution when determining dosage for guanabana extract because of the potential neurotoxicity risks. 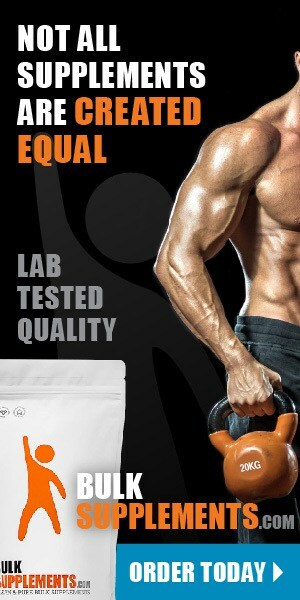 Consult your doctor or a natural supplement expert for more guidance based on your personal height, weight and build. There are many guanabana benefits that are extremely promising, particularly in the realm of cancer prevention and treatment. Its antioxidants have the potential to protect the body’s cells from a variety of serious conditions and therefore increase our lifespan. Guanabana extract can also help reduce the symptoms of non-life-threatening conditions such as allergies, anxiety and erectile dysfunction, just to name a few. 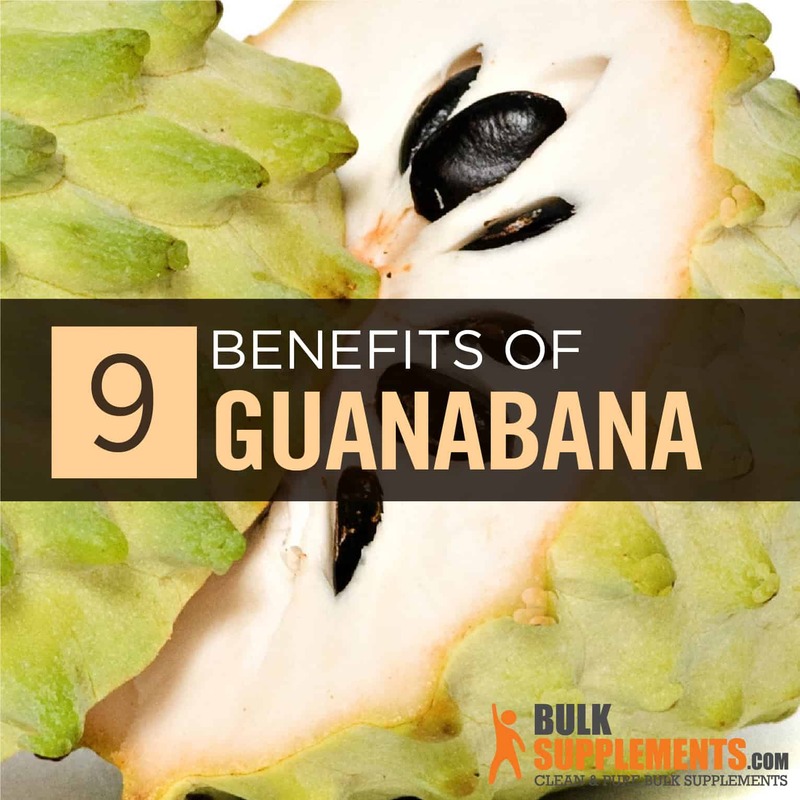 Because of its potential, guanabana is one of the most exciting natural supplements out there right now. At this time, though, even more research will need to be done to confirm these potential benefits.